TWP Approved! – Nordstrom Anniversary Sale Top Picks! 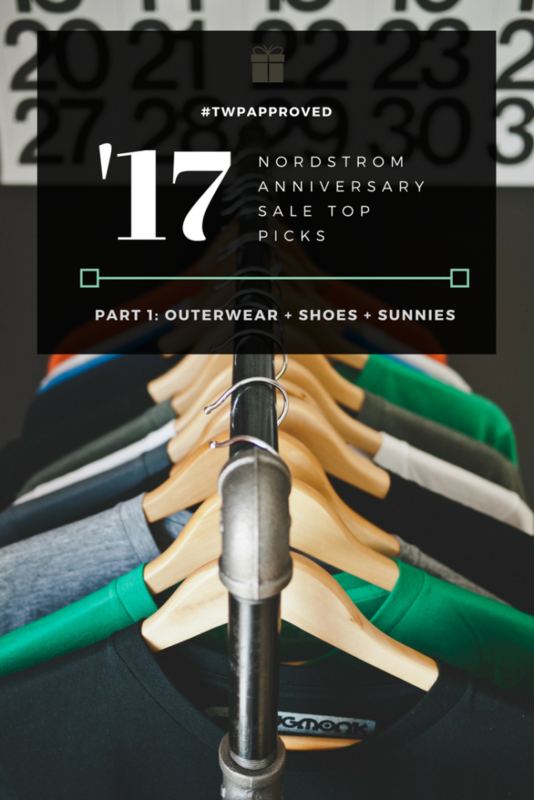 Well, if you can read, you can probably already guess based on the title of this post BUT it’s time for Nordstrom‘s Anniversary Sale! Ok, I’ll wait for you to stop dancing and return to your seat. Nordstrom cardholders ONLY will be able to access the sale one week prior to the public sale. If you have a personal Triple Points Day, make sure to schedule it during the Anniversary Sale. Prices go up on August 7th! Now, that we’ve got the basics covered; let’s get to the goods. I’ve gone through like I normally do and have done most of the heavy lifting for you. Get into my top picks for outerwear, shoes and sunglasses in this post. I’ll be featuring more top picks from the sale over the next few weeks. So, stay tuned! The Nordstrom Anniversary Sale is the time to stock up on your basics for the Autumn/Winter season. I know it’s hot, humid and in the dead of Summer but this is what planning ahead looks like. I’m all the way here for the military styles, the varsity jackets and the textures being offered in this sale. Get into these outerwear pieces before the prices go up! If you want the Gucci Princeton Slippers look for less, look no further than this sale. They have a few options that won’t hurt your pockets. I’ve, also, picked a few over-the-knee boots to get you through the winter. Now, these top picks are ones that you can get into right away! Summer is the perfect time for a new pair of discounted luxury sunnies. Previous Post Memo 288: Jumping For Jumpsuits!